Posted on November 21, 2018 by wp-admin Posted in Auto key progremmer	. It provides super-fast solution and it can work as generic workshop level diagnostic equipment. 1) 1[b]00% genuine[/b] scanner, XTOOL company made. High quality. 2) Support[b] one button click to update[/b] the tool by[b] WIFI or cable free for lifetime[/b]. 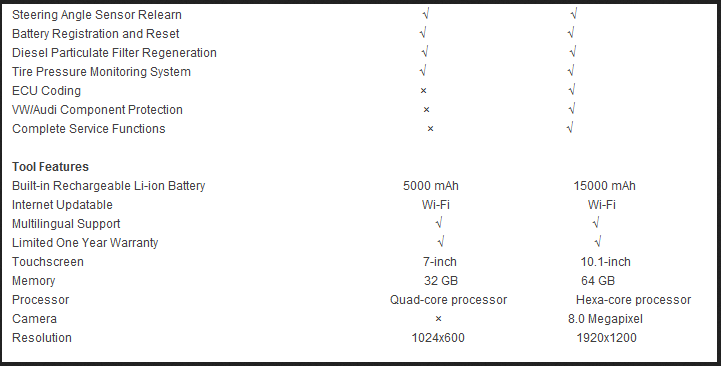 PAD has WIFI function, you can directly update the software via PAD by WIFI connection. If you do not have WIFI, you can use lan cable to connect the internet for update. Update is very easily. When new software release, you will see the new software on update option. Just click the “update” button for the software and wait for the finish. Then you will update your tool to latest. what else can XTOOL X-100 PAD do? Tags: X-100 PAD, X-100 PAD Tablet Key Programmer, XTOOL X-100 PAD	. Should I buy Auro OtoSys IM600 or Obdstar X300 DP? Posted on October 24, 2018 by wp-admin Posted in Auto key progremmer	. 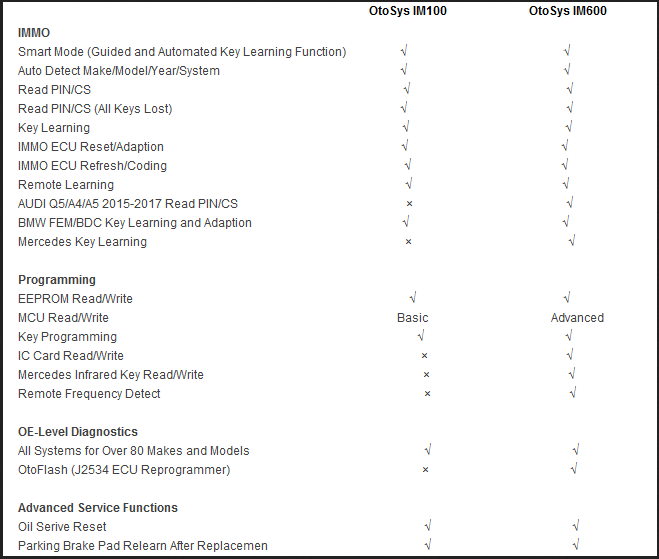 Auro OtoSys IM600 and Obdstar X300 DP – What’s the difference & Which better? 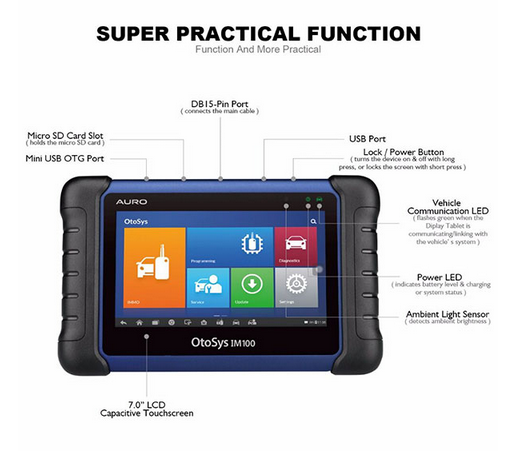 This is for those who are looking for a universal auto diagnostic tool but confused about Auro OtoSys IM600 and Obdstar X300 DP – which better. If you are looking for a tool for universal cars to program keys and perform special functions, Auto key Programmer OtoSys Im600 will be much better than Obdstar X300DP, esp. key program on some models. If you want a tool for car diagnostic tests only, IM600 is good. But based on experience of users, Launch tools are perfect with diagnostics also. Note that, DO NOT buy IM600 as an odometer correction tool! It will upset you because only a few cars can work with it. Autonumen.com Obdstar X300M is a professional tool for km change and X300 DP covers it that X300DP is able to change mileages as well as X300M does. For diagnosis and odometer correction, Obdstar X300DP wins! For immo and special functions, Auro Im600 wins! Posted on October 18, 2018 by wp-admin Posted in Auto key progremmer	. 12. Support IMMO functions for over 60 worldwide makes and models. 13. Equipped with UP400 to support PIN/CS read, transponder read/write/identification, MCU/EEPROM chip read/write and IMMO ECU Reset/Adaption.